Each year Americans catch more than one billion colds, making the cold virus the most common infectious disease in the United States. It accounts for more school absences and missed work than any other illness, and it’s the number one reason people visit their physicians — even though most physicians have little to offer in the form of treatment. It’s a widespread misconception that colds are caused by bacteria. Colds are actually triggered by a virus, which means if your physician prescribes you an antibiotic, it will be absolutely useless. More on this shortly, but before I delve into simple prevention and treatment strategies it’s important you know how colds are contracted in the first place. Cold viruses can live on pens, computer keyboards, coffee mugs and other objects for hours, so it’s easy to come into contact with such viruses during daily life. However, the key to remember is that just being exposed to a cold virus does not have to mean that you’ll catch a cold. If your immune system is operating at its peak, it should actually be quite easy for you to fend off the virus without ever getting sick. It’s estimated that the average U.S. adult typically has two to four colds each year, while children may have up to 12! One reason for the widespread prevalence may be that vitamin D deficiency is incredibly common in the United States, especially during the winter months when cold (and flu) viruses are at their peak. Research has confirmed that “catching” colds and flu may actually be a symptom of an underlying vitamin D deficiency. Less than optimal vitamin D levels will significantly impair your immune response and make you far more susceptible to contracting colds, influenza, and other respiratory infections. In the largest and most nationally representative study of its kind to date, involving about 19,000 Americans, people with the lowest vitamin D levels reported having significantly more recent colds or cases of the flu — and the risk was even greater for those with chronic respiratory disorders like asthma. At least five additional studies also show an inverse association between lower respiratory tract infections and vitamin D levels, and you can read about them in detail here. But the research is very clear, the higher your vitamin D level, the lower your risk of contracting colds, flu, and other respiratory tract infections. It’s not surprising, then, that the average American gets so many colds each year, as current guidelines for optimal intake and normal vitamin D levels are far too low — and since most people do not get adequate sun exposure on a daily basis (which is what produces vitamin D in your skin) many are deficient. I strongly believe you could avoid colds and influenza entirely by maintaining your vitamin D level in the optimal range. How Long Do Colds Last … and How Can You Make Your Cold Go Away Faster? Most uncomplicated colds last between eight and nine days, but about 25 percent last two weeks, and 5-10 percent last three weeks. Even the most stubborn colds will typically resolve in a few weeks’ time; this is actually one of the ways you can distinguish a cold from allergies. How quickly you bounce back is typically defined by you and your collective lifestyle habits — and this does not mean popping over-the-counter cough and cold remedies or fever reducers. In fact, as long as your temperature remains below 102 degrees Fahrenheit (38.9 degrees Celsius) there is no need to lower it. Cold viruses do not reproduce at higher body temperatures, so a slight fever should help you get rid of the virus quicker and help you to feel better much sooner. You should avoid taking over-the-counter pain-relief medications as well, as a study showed that people who take aspirin and Tylenol (acetaminophen) suppress their body’s ability to produce antibodies to destroy the cold virus. Aspirin has even been linked to lung complications including pulmonary edema, an abnormal build-up of fluid in your lungs, when taken in excess. You should only use these medications when absolutely necessary, such as if you have a temperature greater than 105 degrees F (40.5 degrees C), severe muscle aches or weakness. I don’t advise over-the-counter medications, but one simple treatment you can try that is surprisingly effective against upper respiratory infections is hydrogen peroxide. Many patients at my Natural Health Center have had remarkable results in curing colds and flu within 12 to 14 hours when administering a few drops of 3 percent hydrogen peroxide (H2O2) into each ear. You will hear some bubbling, which is completely normal, and possibly feel a slight stinging sensation. Wait until the bubbling and stinging subside (usually 5 to 10 minutes), then drain onto a tissue and repeat with the other ear. A bottle of hydrogen peroxide in 3 percent solution is available at any drug store for a couple of dollars or less. It is simply amazing how many people respond to this simple, inexpensive treatment. So What Else Can You Do to Recover From a Cold, Quicker … and Prevent One in the First Place? As I said above, the number one way to conquer a cold (or flu) is vitamin D. Vitamin D is an amazingly effective antimicrobial agent, producing 200 to 300 different antimicrobial peptides in your body that kill bacteria, viruses and fungi. So optimizing your levels will not only help send a cold virus packing … it will help ward off cold viruses in the first place. The best source for vitamin D is direct sun exposure. But for many of us, this just isn’t practical during the winter. If neither natural nor artificial sunlight is an option, then using oral vitamin D3 supplements is your best bet. Based on the latest research, many experts now agree you need about 35 IU’s of vitamin D per pound of body weight. This recommendation also includes children, the elderly and pregnant women. However, keep in mind that vitamin D requirements are highly individual, as your vitamin D status is dependent on numerous factors, such as the color of your skin, your location, and how much sunshine you’re exposed to on a regular basis. So, although these recommendations may put you closer to the ballpark of what most people likely need, it is simply impossible to make a blanket recommendation that will cover everyone’s needs. The only way to determine your optimal dose is to get your blood tested. Ideally, you’ll want to maintain a vitamin D level of 50-65 ng/ml year-round. For an in-depth explanation of everything you need to know before you get tested, please read my latest updates in Test Values and Treatment for Vitamin D Deficiency. If you feel yourself coming down with a cold or flu, this is NOT the time to be eating ANY sugar, artificial sweeteners or processed foods. Sugar is particularly damaging to your immune system — which needs to be ramped up, not suppressed, in order to combat an emerging infection. So if you are fighting a cold, you’ll want to avoid all sugar like the plague, and this includes sugar in the form of fruit juice and even grains (which break down as sugar in your body). Ideally, you must address nutrition, sleep, exercise and stress issues the moment you first feel yourself getting a bug. This is when immune-enhancing strategies will be most effective. Fermented foods such as raw kefir, kimchee, miso, pickles, sauerkraut, etc, which are rich in probiotics, or good bacteria. Scientific research shows that 80 percent of your immune system resides inside your digestive tract, so eating probiotic-rich foods, or taking a high-quality probiotic, will help support your immune system health. Garlic, a potent antimicrobial that kills bacteria, viruses and fungi. Ideally this should be in fresh form, eaten raw and crushed with a spoon just before eating. Make sure you are drinking plenty of fresh, pure water. Water is essential for the optimal function of every system in your body and will help with nose stuffiness and loosening secretions. You should drink enough water so that your urine is a light, pale yellow. And what about the old wives’ tale of chicken soup for your cold? Chicken soup can help reduce your symptoms. Chicken contains a natural amino acid called cysteine, which can thin the mucus in your lungs and make it less sticky so you can expel it more easily. Processed, canned soups won’t work as well as the homemade version, however. For best results, make up a fresh batch yourself (or ask a friend or family member to do so) and make the soup hot and spicy with plenty of pepper. The spices will trigger a sudden release of watery fluids in your mouth, throat, and lungs, which will help thin down the respiratory mucus so it’s easier to cough up and expel. Vitamin D, check! Hydrogen peroxide, check! Healthy diet, check! We’ve covered several of the primary “weapons” you should have in your cold-fighting arsenal, but there are others, too. Pay attention to how you are sleeping. If you aren’t getting enough sleep, or enough restorative sleep, you’ll be at increased risk for a hostile viral takeover. Your immune system is also the most effective when you’re not sleep-deprived, so the more rested you are the quicker you’ll recover. You can find 33 secrets for a good night’s sleep here. Regular exercise is a crucial strategy for increasing your resistance to illness. There is evidence that regular, moderate exercise can reduce your risk for respiratory illness by boosting your immune system. In fact, one study found that people who exercised regularly (five or more days a week) cut their risk of having a cold by close to 50 percent. And, in the event they did catch a cold, their symptoms were much less severe than among those who did not exercise. Exercise likely cuts your risk of colds so significantly because it triggers a rise in immune system cells that can attack any potential invaders. Each time you exercise you can benefit from this boost to your immune system. Ideally, establish a regular fitness program, such as Peak Fitness, now, to help you ward off colds and other illness. However, if you’re already feeling sick don’t overdo it. Over-exercising can actually place more stress on your body, which can suppress your immune system — and you don’t want that either. You might just go for a walk if you are coming down with a cold, or simply tone down your regular workout. Any rise in body temperature will be an unwelcome climate for a viral invader, though, so some exercise is likely to be beneficial. Emotional stressors can also predispose you to an infection while making cold symptoms worse. Finding ways to manage daily stress as well as your reactions to circumstances beyond your control will contribute to a strong and resilient immune system. My favorite tool for this is the Emotional Freedom Technique (EFT), a system that helps balance your body’s subtle energies and repair emotional “short-circuits.” EFT may even help you overcome cold symptoms. Supplements can be beneficial for colds, but they should be used only as an adjunct to the lifestyle measures already discussed. Oregano oil: The higher the carvacrol concentration, the more effective it is. Carvacrol is the most active antimicrobial agent in oregano oil. Propolis: A bee resin and one of the most broad-spectrum antimicrobial compounds in the world; propolis is also the richest source of caffeic acid and apigenin, two very important compounds that aid in immune response and even fight cancer. A tea made from a combination of elderflower, yarrow, boneset, linden, peppermint and ginger; drink it hot and often for combating a cold or flu. It causes you to sweat, which is helpful for eradicating a virus from your system. Olive leaf extract: Ancient Egyptians and Mediterranean cultures used it for a variety of health-promoting uses and it is widely known as a natural, non-toxic immune system builder. Washing your hands frequently is one of the easiest ways to wipe out germs and viruses and reduce your chances of becoming sickened by them. Thorough hand-washing truly is an important step, as you are at far greater risk of passing on an infection by shaking someone’s hand than even by sharing a kiss. One report even found that regular hand washing may be more effective than drugs in preventing the spread of respiratory viruses such as influenza. When you wash up, plain soap and water will do. Do not make the mistake of using antibacterial cleansers, as their widespread use is leading to strains of resistant bacteria, or “superbugs,” which cause the ingredients to lose effectiveness for the times when they really are needed, such as for surgeons prior to surgery. Further, the active ingredient in most antibacterial products is triclosan, an antibacterial agent that kills bacteria and inhibits bacterial growth. But not only does triclosan kill bacteria, it also has been shown to kill human cells. Antibacterial soaps are also no more effective than regular soaps. One study found people who used antibacterial soaps and cleansers developed a cough, runny nose, sore throat, fever, vomiting, diarrhea and other symptoms just as often as people who used products that did not contain antibacterial ingredients. So please avoid making the mistake of using antibacterial liquids and soaps. There is another important caveat to remember, and that is your skin is actually your primary defense against bacteria — not the soap. So resist the urge to become obsessive about washing your hands. If you wash them too frequently you can actually extract many of the protective oils in your skin, which can cause your skin to crack and bleed. It is rare for a germ on your skin to cause a problem — it is typically only an issue when you transfer that to your nose, mouth or an open wound like cracked skin. So obsessive-compulsive washing can actually increase your risk of getting sick by providing an entryway for potentially dangerous pathogens. So mild to moderate washing is wise, but excessive washing, especially with harsh soaps, will actually be highly counterproductive. More than 300 different viruses can cause colds, so each time you have a cold it is caused by a distinct virus (i.e. adenovirus, rhinovirus, parainfluenza virus, coronavirus). A virus is much smaller than a bacteria; it is a tiny cluster of genetic material surrounded by a protein wrapper. There are currently NO drugs available that can kill these viruses. Antibiotics, including penicillin, do not have any effect on viruses, but unfortunately have been vastly over-prescribed for this very (useless) purpose. That, coupled with the excessive use of antibiotics in agriculture, has contributed to a steep rise in antibiotic-resistant diseases. Antibiotic-resistant infections now claim more lives each year than the “modern plague” of AIDS, and cost the American health care system some $20 billion a year! Further, according to one meta-analysis, the health risk from over-use of antibiotics is also a very personal one, as opposed to simply raising the occurrence of antibiotic resistance in the general population over time. Whenever you use an antibiotic, you’re increasing your susceptibility to developing infections with resistance to that antibiotic — and you can become the carrier of this resistant bug, and spread it to others. So please, if you have a simple cold remember that an antibiotic will do far more harm than good. When Should You Call Your Physician? Generally speaking, however, if you have a cold medical care is not necessary. Rest and attention to the lifestyle factors noted above will help you to recover quickly and, if you stick to them, will significantly reduce your chances of catching another one anytime soon. 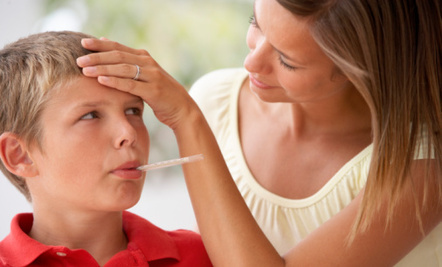 8 Home Remedies from Mom: Do They Really Work? My Name is Linda Mark from USA/TEXAS Dr.SUKU Herbal Medicine is a good remedy for Herpes Virus , I was a carrier of Herpes and I saw a testimony on how Dr.SUKU cure Herpes Virus, I decided to contact him, I contacted him and he guided me. I asked him for solutions and he started the remedies for my health. After he finish he sent me the herbs which i took for 2 week before going for a check up and getting there i could not believe that i was confirm Herpes Negative after the test,Today i am so happy because i'm free from herpes disease with the help of Dr.SUKU Thank God now everything is fine, I'm cured by Dr.SUKU herbal medicine, I'm very thankful to God for making it possible you can reach him on his email i strongly recommend him to any one out here looking for a cure drsukuherbalhome@gmail.com or Text/Call cell number +1(325) 701-3934 Dr.Suku Web /Site http://DrSUKU.website2.me . I was diagnosed with Herpes for 1years ago i lived in pain with the knowledge that i wasn't going to ever be well again i contacted so many herbal doctors on this issue and wasted a large sum of money but my condition never got better i was determined to get my life back so one day i saw Mr Barry post on how Dr Zack Balo saved him from the VIRUS with his herbal medicine i contacted Dr Zack Balo on his phone number +13203967742 we spoke on the issue i told him all that i went through and he told me not to worry that everything will be fine again so he prepared the medicine and send it to me through courier service and told me how to use it,after 14days of usage I went to see the doctor for test ,then the result was negative,am the happiest man on earth right now. this testimony is real.thanks to Dr Zack Balo God bless you. you can also reach him on his email address via wiseindividualspell@gmail.com. I am so Happy to be writing this article in here, i am here to explore blogs forum about the wonderful and most safe cure for HERPES SIMPLEX VIRUS . I was positive to the deadly Virus called HERPES and i lost hope because i was rejected even by my closet friends. i searched online to know and inquire about cure for HERPES and i saw Dr ABILI testimony online on how he was cured so many persons from Herpes Disease so i decided to contact the great herbalist because i know that nature has the power to heal everything. i contacted him to know how he can help me and he told me never to worry that he will help me with the natural herbs from God! after 2 days of contacting him, he told me that the cure has been ready and he sent it to me via DHL and it got to me after 14 days! i used the medicine as he instructed me (MORNING and EVENING) and i was cured! its really like a dream but i'm so happy! thatâs the reason i decided to also add more comment of Him so that more can be saved just like me! and if you need his help,contact his Email now (drabiliherbalhome@gmail.com) or him on whatsApp number +2348026647940.